Hello doodlebug fans! 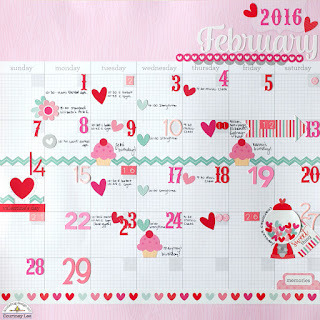 :) Did you know that doodlebug made calendars? They are called daily doodles!!! I.Am.In.LOVE! I started in December and so this is my third calendar page! I already have March in the works. This is SUCH a fabulous way to remember what your family did on certain days. I am also recording baby "firsts" for our new Lilibeth! I can add pictures in the album that coordinate with these memories. Given that I am not a "scrapbooker" by nature, this works brilliantly for me! 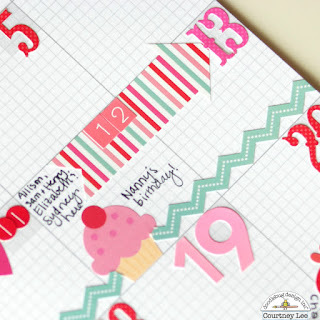 I utilized the cupcake sweet rolls mini icon stickers for birthdays for this month! It made it super fun, easy, and cute to keep track of them! I also used the icon stickers to add the big striped arrow to indicate when people are here. :) The fancy frills are an awesome way to indicate bigger chunks of time where something is going on. I used random number stickers for the calendar days. I thought it was very "Alice in Wonderland" fun. AND it was a great way to use up my numbers at the bottom of my alpha sheets! All of these numbers are by doodlebug. Doodlebug also makes the names of the months as a sticker so you don't have to do the work there! :) They do it for you. I love it. I used the fancy frills underneath the title to give it some "umph". My daughter Charlotte's birthday is in February (the 27th) so I wanted to do something extra special on that day. I used both the gum ball machine and a sweet thing this and that tag to highlight the day! 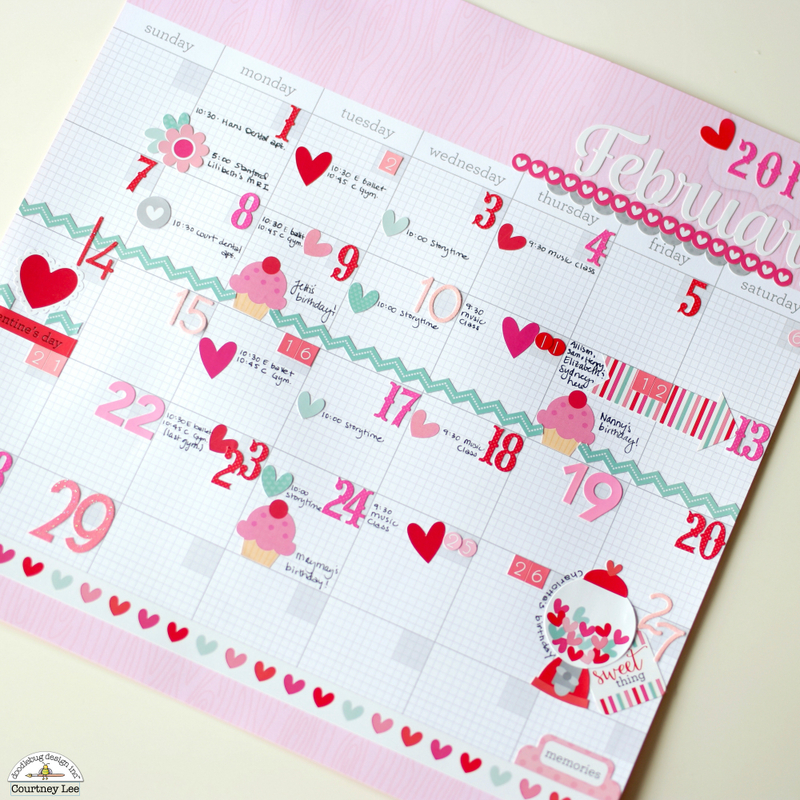 The bottom of the calendar is emphasized by a "memories" sticker from the this and that page as well as a fancy frill heart border sticker. 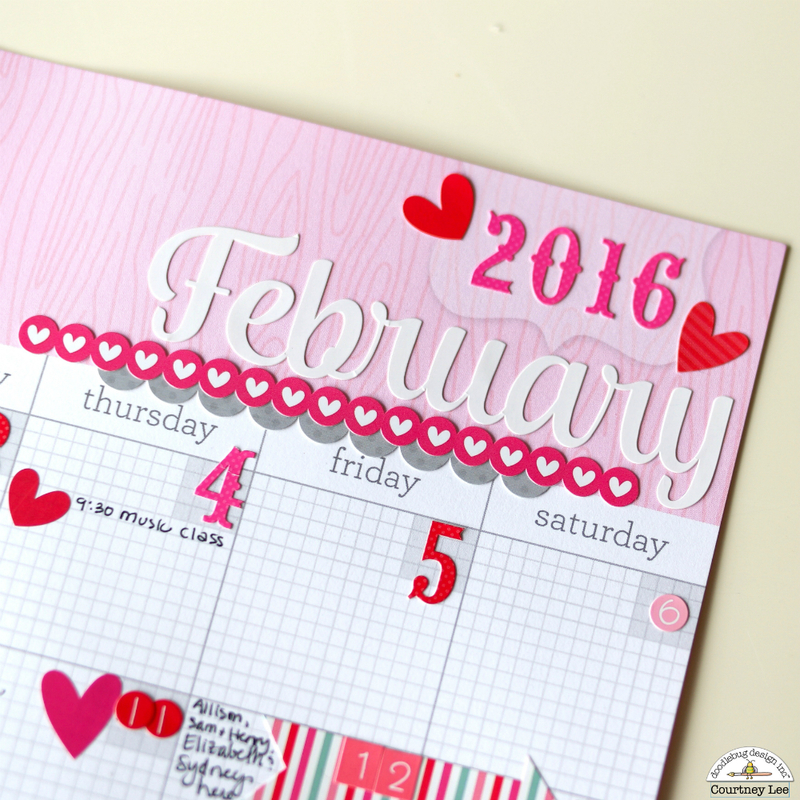 It's an easy way to dress up your calendar! I attach my calendar to the clipart that doodlebug makes and I hang it in the mudroom above the shoes so the whole family can see the schedule! It is working FABULOUSLY for our family. 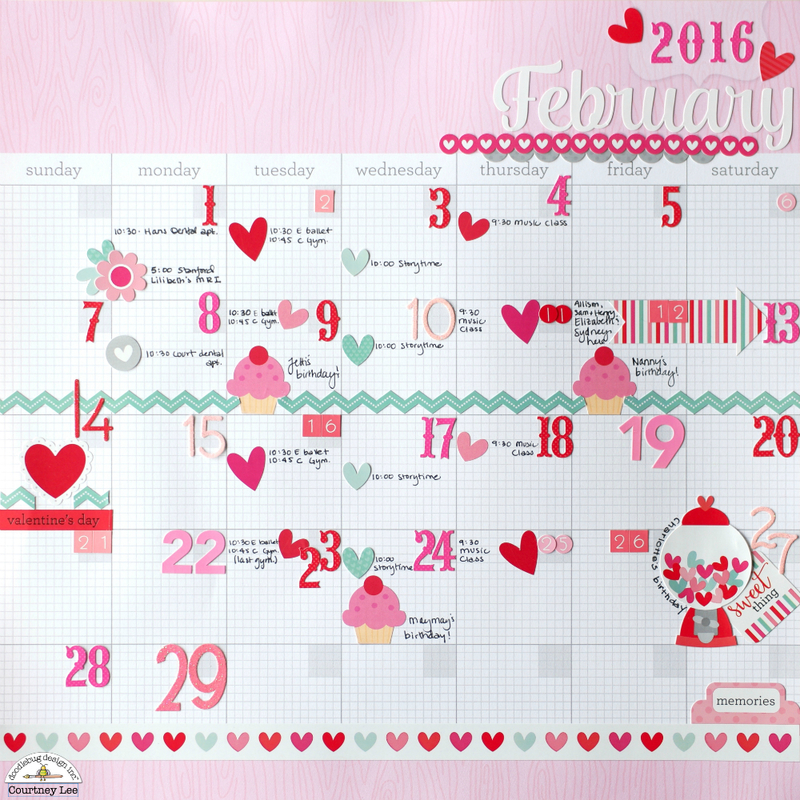 I am just sad I forgot to take a picture of the calendar on the clipart! SO cute! Give the daily doodles a try to get your family organized! This has been amazing! I cannot say enough good things! This is so cute and I love the idea of documenting her first months!! !